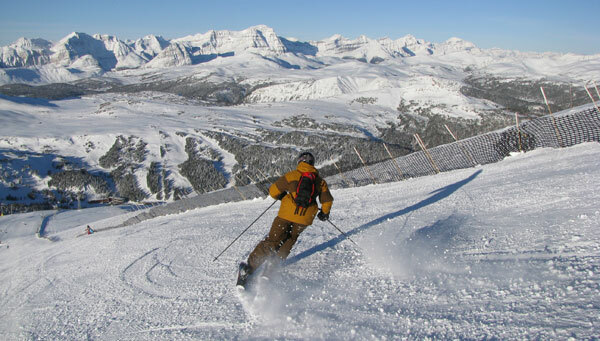 The Banff Ski Trip is currently full. Contact trip leader Dan Eckelkamp to be added to the wait list. Cancellations made after deposit paid and prior to the first scheduled payment due date will result in a $50 administrative cancellation fee. Any cancellation made after the first scheduled payment due date will result in the loss of all moneys paid UNLESS: 1) a wait list exists, and a “gender specific” replacement can accommodate the cancellation; 2) a wait list does not exist, and the canceling party can provide an appropriate “gender specific” replacement; or 3) the trip leader receives and signs up a “gender specific” participant to replace the canceled participant after having received his/her notice to cancel. If a replacement is obtained, an administrative cancellation fee of $100 AND the cost of an “airline ticket name change” (if one required) will be deducted from any refund to the canceled participant. When a wait list is in effect, substitutions of one’s own reservation is prohibited. Note: The afore stated policy remains in effect when a cancellation is made as a result of a medical or family death situation which prohibits the attendance of the trip participant. Trip participants are encouraged to subscribe to a Trip Cancellation Insurance to ensure reimbursement for such situations. Reimbursement for such cancellation is between the Insurance Company and the insured and not the DSC. Work related cancellations are not generally accommodated by Trip Cancellation Insurance.